The answer is yes. You CAN get your joy back. But, Kristina.. You don’t understand all that I’ve been through. You don’t understand my circumstance. You don’t know what people have said about me, about my dream, about my purpose! You don’t know the opposition I’ve faced! I may not know everything you’ve gone through. I may not know what it feels like. But I know a God who knows all. He knows exactly what you’ve been going through and He’s got you right in the palm of His hand. And you know what he’s given you? God has given us the greatest gift of all… His word. So let’s go through a few scriptures I feel are important when it comes to joy. So how is this relevant to staying joyful when pursing our dreams? When God gives you a dream, it’s usually because that dream or passion is what’s a part of your purpose. When you begin to follow your God-given purpose in life (especially in ministry), it shakes up hell. The enemy knows that when you tap into your potential and get serious about doing the work of the Lord in your life, something amazing is going to happen. And God will get the glory for it. Oftentimes, we think that our joy revolves around things — our family, how successful we are, our current situation, how happy we are. We don’t stop to realize that every day we make decisions on how we react to the things that happen to us in life. Joy is often mistaken as synonymous with happiness. 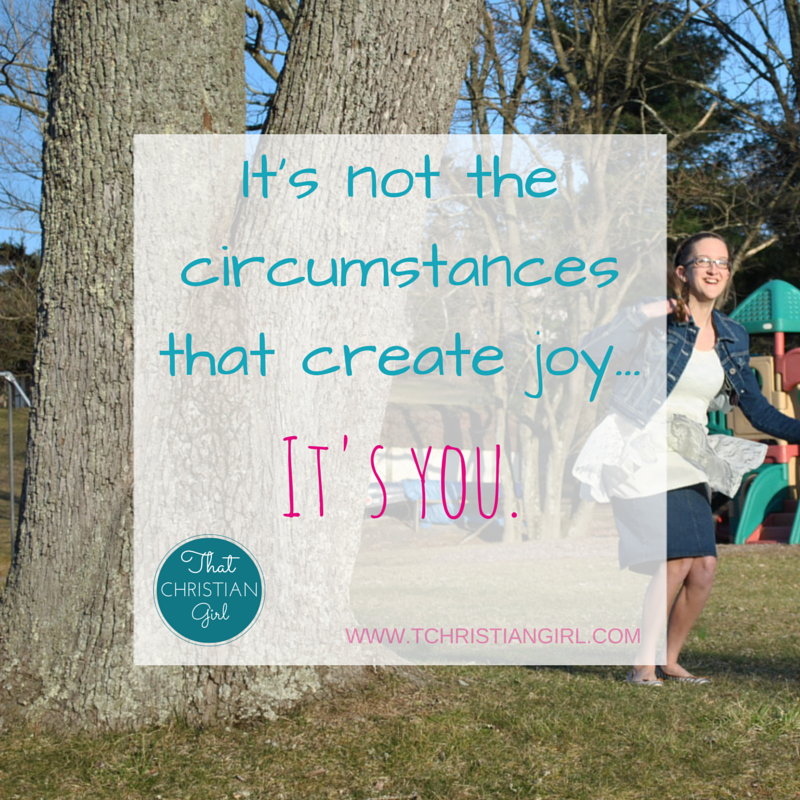 But I’m a firm believer that joy doesn’t always show up as a feeling or emotion — it’s more of a choice. Joy is a state of mind. When you wake up each morning, remember that you can choose to be joyful no matter what happens. It’s knowing that God is control of all things, and that everything will work together for those who love him (Jeremiah 29:11). No matter the circumstance, no matter the outcome… God is still in control. Whatever situation you find yourself in today, remember to stay joyful. This week, I want you to take time to meditate on these verses of scripture mentioned above. Read them aloud. Write them in your dream journal. Pray them. Speak them into your life. The Bible says God’s word will not return to him void. When you speak God’s word, it changes the atmosphere. It lets the enemy know that this day… you are making a point to make a change. Most importantly, you believe it! Join the conversation on Twitter and Instagram by using the hashtag #TCGchat!